Dr. Cliff Collins graduated from Parker College of Chiropractic in Dallas, TX. Dr. Collins is licensed in the state of Texas and is certified by the National Board of Chiropractic Examiners. He holds a Bachelor of Science degree in Exercise Science with honors from Tarleton State University, a B.S. in Anatomy from Parker College of Chiropractic, and a B.S.in Health and Wellness from Parker College of Chiropractic. Dr. Collins has worked in clinics with various specialties ranging from pediatrics to sports rehabilitation. No matter the patient’s age or activity level, Dr. Collins’ main goal is to help them get back to doing the activities they love. Dr. Collins has been fortunate enough to work with numerous NFL, MLB, PGA, and NCAA athletes. Additionally, he has worked with athletes in Olympic Training Programs from sports such as gymnastics, hockey, swimming, triathlon and water polo. 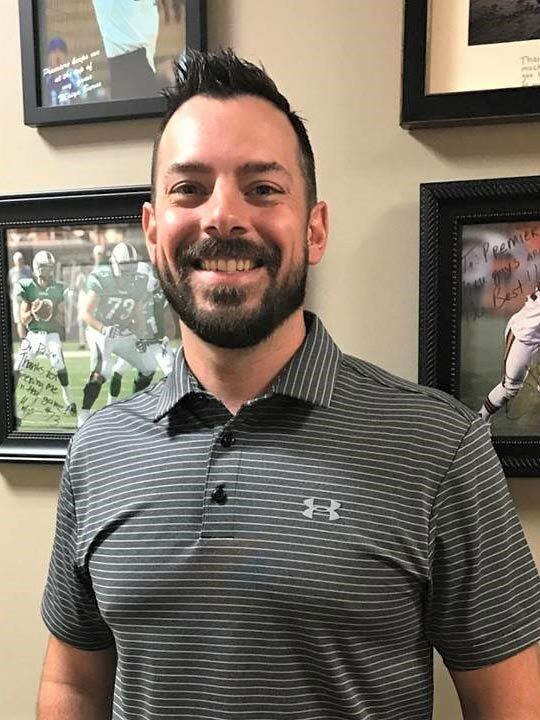 Dr. Collins is a certified provider in multiple soft tissue techniques such as Active Release Technique (ART) and Fascial Distortion Model (FDM). He is certified in Functional Movement Assessment and the SFMA as well as various neurological techniques. He and his wife, Katherine, are active members of Cross Timbers Church in Argyle, TX. His wife, Dr. Katherine Collins, currently owns and operates FIT4MOM Flower Mound, a fitness company that designs pre and postnatal exercise classes for moms in all stages of motherhood. Outside of the office, Dr. Collins likes to spend time with his wife, Katherine, and their three daughters. He makes it a priority to remain physically active by weight training, trail running, and competing in triathlons.